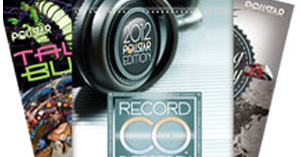 Impressively, Gorley has written over 100 songs recorded by over 50 artists. Gorley has won 10 ASCAP awards, including 2009 Country Songwriter of the Year and Song of the Year, for “You’re Gonna Miss This” by Trace Adkins. 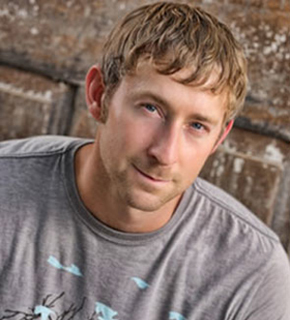 He is a two-time recipient of the Country Music Association (CMA) “Triple Play” award, which recognizes writers with three number one songs in a single year. In addition, Gorley is a two-time Grammy nominee for Country Song of the Year, and has earned two CMA Song of the Year nominations. He was also named one of Billboard’s Top Ten Writers of the Year in 2008, 2009, and 2012. In this new interview, Gorley talks about why he only likes to co-write, explains why success isn’t tied to who you know, and tells the story behind two of his hit singles. BC: You were named Billboard’s #1 country music songwriter for 2013 with 13 number one singles. How have you seen your life change the last several years? Gorley: Songwriters are insecure people. So, that all sounded wrong when you just said it. Here’s the thing I tell people because I sign writers as well. When you haven’t had a hit yet, you’re running 100 m.p.h. trying to get something going. Then, once you start getting the hits, you’re still running 100 m.p.h. trying to keep it going. Things are more pressure-filled even now. After you get so many hits , people almost expect it. Now, the game is more time management and choosing when to say no and not letting it rule my life. I’ve got three kids and a company with writers. So, it’s a lot different than back then. My grasp on it is obviously way better. It’s still fun. I try to do everything within my power to keep it fun. I try not to do things that aren’t enjoyable and challenging. My life doesn’t really revolve around … what I can obtain or how many hits I can have or getting an award, anything like that. It’s what I do with the rest of the time that’s the challenge for me, trying to keep it in line with the other aspects of my life. BC: Was there a time when things just started to take off or did it evolve naturally? Gorley: I got into the songwriting, country songwriting especially, a little earlier than I should have. I had only written about five country songs and got a writing deal, which is not usually the way it happens. I just got lucky with a couple of those right off the bat, and then spent the next few years trying to catch up and actually learn how to play guitar. Our big moment for my family happened on my daughter’s second birthday in 2006. We had Carrie Underwood’s second single, “Don’t Forget To Remember Me,” which was my first Top 40 and number one all at the same time. She sold 7 or 8 million copies. It’s not like it turned, and I started getting every song recorded. I was hoping it would be that way, but it definitely was not. (laughs) From then on, it gives you the confidence to think you can actually do it. I think that’s a big deal that writer’s don’t get until it happens. Then, they go so that’s really on the radio. People are really buying it. They’re playing it at their shows. I bet I can do that again. Pictured (l-r): Chris DeStefano, Carrie Underwood and Ashley Gorley. BC: Do you now have artists that specifically seek out your songs? Gorley: That’s how they said it was supposed to work. People aren’t necessarily seeking it out, but they take me seriously. I don’t pitch a lot of my songs unless I think it’s really right. I won’t send Luke Bryan, Jake Owen, or Carrie a song unless I really, really think they should do it, so they don’t get very many from me. I think that helps in that process. It makes them want to listen to it and want to respond. I think I’m getting a little more trust from the record labels and the people who are picking singles and pickings songs and from the artists. It’s still so competitive with so many great writers. They’re definitely not saying, “Send me a couple of songs. We’re going to go record tomorrow.” You still never get to that point in Nashville. BC: You like to co-write a lot. Do you prefer to co-write or to write by yourself? Gorley: I don’t like being by myself in any circumstance really. I’m used to people being around. This is the advantage of being where I’m at, is being with people I want to be around all the time pretty much. I don’t have days when I look at the calendar and say, “Oh, man, this is going to be terrible. I’ll just have to tough through it.” That doesn’t really happen anymore. We all know what the objective is, and we really challenge each other in the room. I would not want or have this career if it was sitting by myself writing out sheet music. BC: When did you start writing music? Gorley: I was actually just an MTV junkie and a DJ for house parties and middle school and high school dances. I was really into remixing, hip hopping and making tracks, sampling, and listening to old R&B pop stuff for a while, and then my family would have country music around for a little bit. I didn’t get a guitar until I was probably a junior or sophomore in college. I could play the piano, sample and make tracks. I don’t do any of that now. I was kind of writing instrumentals and then started putting lyrics to them by the end of high school. BC: Does the melody come easier to you than the lyrics? Gorley: Oh, gosh, yeah! I think that is true for everybody. I’m not a master musician, but I can come up with 100 melodies by the time someone can come up with one really good idea to write about. I write with some great idea guys. That’s the part of writing that can have a shortage is high concept songs–lyrics people want to hear that are easy to sing but have a different twist on something. I think it’s all impossible. But I do think there’s a lesser number of great lyricists. It’s definitely more fun for me to yell out random melodies than sit and brainstorm ideas. BC: Was there a particular person who influenced you or helped you get started in the business? Gorley: In college there was a guy named Cory Gearman who used to work with Gretchen Wilson, Big and Rich, a lot of those people. He was not much older than me actually. He got a gig as creative director at a publishing company while I was still in college. He was also interested in hearing my stuff and really pursued me. He encouraged me and wanted me to come over to his apartment and sit and just play songs. He’d want to stay up late and listen to songs that writers in town had written that he had on tape. He kind of helped me cultivate the love for it and made me actually believe I could get a writing deal. He’s the one who gave me that first writing contract, where I was faced with the reality of trying to write something every day and how difficult the competition was. Pictured (l-r, front row): Warner Chappell’s Ben Vaughn, Combustion’s Chris Farren, Ashley Gorley, and Chris Van Belkom. (Back row): Combustion’s Kenley Flynn, Warner Chappell’s Matt Michiels, Phil May, Alicia Pruitt, Blain Rhodes, Steve Markland and BJ Hill. BC: What’s the first song you wrote that you heard on the radio? Gorley: It’s called “Since I Seen You Last”—Joanna Janet did it. I remember me freaking out. It went to like number 55. It was the first song that I had recorded that was put out on the radio. It happened pretty quick after I got the deal. Anything you get is huge. We take it for granted now. A lot of us have to get better at realizing how impossible it is to get anybody to spend money on your songs and record them. That was when I first fell in love with a project, working directly with an artist and helping them catch a vision, which is part of the gig that I love. BC: Take us through a typical songwriting session. Gorley: I try to provide whatever is missing in the situation. It depends. If I’m writing with an artist … it’s almost like an acting role. I really try to become them in the room, lyric-wise, music-wise, everything. If it’s not with an artist or for a specific artist, then it’s all about the song idea and whoever comes up with the coolest melody first. It’s usually me and one or two other people, who are just kind of knocking ideas around until we land on something we think can cut through. I mean, there are 5,000 songs that artist is hearing. We’ve just got to pursue it from there. So, the typical day is not typical. Sometimes it starts with a track. Somebody’s got an instrumental kind of thing going; somebody’s got a guitar lick; somebody has nothing going. I’m clapping and singing the melody a cappella. Sometimes it starts with a title; sometimes you find the title during the writing. I like to have some kind of concept where the song is going pretty close to the beginning just so I know what to do. Sometimes it takes 15 minutes; sometimes it takes two weeks. BC: You’ve had a lot of hits to your credit. What’s the story behind Luke Bryan’s “That’s My Kind of Night” that you wrote with Dallas Davidson and Chris DeStefano? Gorley: That was one of the most fun writing sessions of all time. Luke is obviously the hottest, best artist out right now as far as connecting with fans and having a knack for hit songs. Thankfully, he’s picking some of mine. Chris plays every instrument, and he’ll switch on and off. You have the vibe like in the studio, like you’re a rock band cutting a record. You sing it into the microphone while you’re writing it and play it back. It’s a lot of trial and error and freestyle lyrics. I didn’t write any lyrics down while I was writing that song as far as I can remember. We just passed the microphone back and forth, me and Dallas. That day we spent probably an hour, hour-and-a-half on another song and came to the conclusion that it was not good enough and threw it away. Stephano has an apartment studio so we were walking around in the kitchen. He came up with the lick that’s kind of on the intro and runs through the verse of that song. Me and Dallas just started going. I was clapping out a little beat. It’s something that nobody wants to see. It looks hilarious. That was more or less of a party vibe. We knew we wanted to make people feel good. We wanted to stretch the boundaries a little bit musically and just do a great feel- good song. We thought we had something special after the first few minutes of getting into that groove. We thought it was cool. We’re exceptionally proud when that one comes on. I’ve gone to the shows and seen people’s reaction to that. I think that’s a really country song in spite of whatever’s been said. I’m glad it hit as big as it did. BC: What’s the story behind Randy Houser’s “Runnin’ Outta Moonlight” that you, Dallas, and Kelley Lovelace wrote? Gorley: Kelley Lovelace is a great idea guy. He had a form of that title like “Wasting moonlight” or something like that. “Runnin’ Outta of Moonlight” ended up singing better. The concept of it, we thought, was cool. That one was really inspired by the title, at least to me. I was just trying to make the music interesting, not just muttering along playing whatever chords but playing verses that are as catchy as the chorus. Gorley: The first thing is recognize where the bar is. There’s no JV (junior varsity) league. There’s no farm league of writing. You’re in competition with all the best in town as soon as you start out. You’re trying to get the same song written and recorded that we all are. Realizing that it really has to be good, that you have to make somebody want to record it. A lot of times I think just realizing that can push you to another level. Not to settle and not to be afraid to rewrite are two things I always tell writers. Nobody cares what it sounds like all the way through you writing it, the whole process whether it took you an hour or two weeks. Nobody cares how many songs you turned in that week or how your session went. They just carry about that one song that you’ve got that can really stand out above the crowd that somebody wants to record. Focus in on concepts. I really feel like the best writers get their stuff heard, and they get deals and get their songs recorded. I don’t think at all it’s who you know. None of my family lived here. I moved to Tennessee and didn’t know anybody in the whole state. I started college and started trying to make buddies. If you’re out playing some shows, you’ll get heard. You can try to bug some publishers to hear stuff. Go to ASCAP, BMI, NSAI. People like me have feelers out in those organizations where if somebody great comes in, then a lot of those guys call us, people that are signing writers. I have no doubt that if you’re meeting with people at ASCAP, BMI, NSAI, and playing out at writer’s nights, then you’ll get yours. The songs just have to be great.